2017 was a modestly successful year for Daniel Negreanu and he has his sights set even higher for 2018. On his Full Contact Poker blog, Negreanu posted a list of goals for the new year. In 2017, Negreanu achieved five out of the eight listed and is looking to make good on 10 this year. One notable change comes in his annual World Series of Poker bracelet pursuit. Last year, Negreanu set a high bar with three bracelets. Though he made four final tables, Negreanu came up short of entering the winner’s circle once. With the WSOP four months away, Negreanu’s goal for this year is to win one bracelet which would give him seven for his career. Negreanu’s objectives in the past 12 months primarily centered around the WSOP. This time around, he is shifting his focus toward the High Roller scene. The first item listed for Negreanu in that category is to make the final table of Super High Roller Bowl or the Big One for One Drop. In 2014, Negreanu finished second in the Big One but in the three years of Super High Roller Bowl, has to make the money. This goal ties in with Negreanu’s intention to win a Super High Roller. Negreanu came close to achieving this in December but fell short to Dan Smith in the Bellagio Five Diamond $100,000 event. Should Negreanu achieve any of these tasks, it is likely he will finish 2018 with over $40 million in lifetime tournament earnings. Negreanu notes he would need exactly $4,680,186 to hit that target, his best year since 2004. 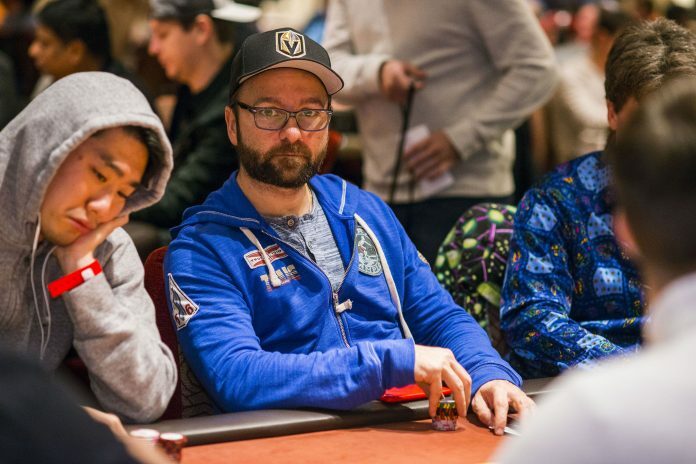 That number may sound like a lot but with the 65-75 events Negreanu estimates he will play this year, anything is possible if he goes on a run. In fact, Negreanu states that it is “Easier today to post $4 million in cashes than ever before” due to the number of High Roller events that exist across the world. “It’s not easier because the game is easier, quite the contrary, but you are just going to see more and more high roller grinders shoot up the all-time leaderboard. Even players who are breaking even over the last few years will still show anywhere from $6-$8 million in earnings,” Negreanu said. Negreanu fancies himself one of the best all-around players in the world. If indeed he still is, winning the Poker Masters or U.S. Poker Open are not out of the question. Negreanu has the two events listed as one goal as they are two series instead of single events. The first Poker Masters finished in disappointment for Negreanu and forced him to reevaluate his No Limit Hold’em game. The U.S. Poker Open offers mixed events, giving a player of Negreanu’s skill set the opportunity to capitalize. Likely the easiest goal for Negreanu to accomplish from his list is to improve to 115 WSOP cashes or pull closer to Phil Hellmuth’s all-time record. Hellmuth holds 131 cashes and Negreanu would need 12 payout slips to get to 115. Negreanu cashed 11 times in 2017 and has more events to play this year with 78 total to choose from. Hellmuth’s volume has decreased in recent years, giving Negreanu quality odds to pull closer and potentially pass Hellmuth in future years. Should everything go to plan, Negreanu’s mission of profiting at least $2 million is within range. Negreanu expects to spend at least $3 million in total buy-ins during the year. A giant score can make a huge difference in that number being surpassed. The first chance to start moving in on checking each one of these goals off is this week when the PokerStars Caribbean Adventure starts in the Bahamas.